An 8in tall resin figure, The Champion, in a putting pose. Perfect as competition prizes or as a runner-up award when paired with the larger gold finish Champion award RS26. 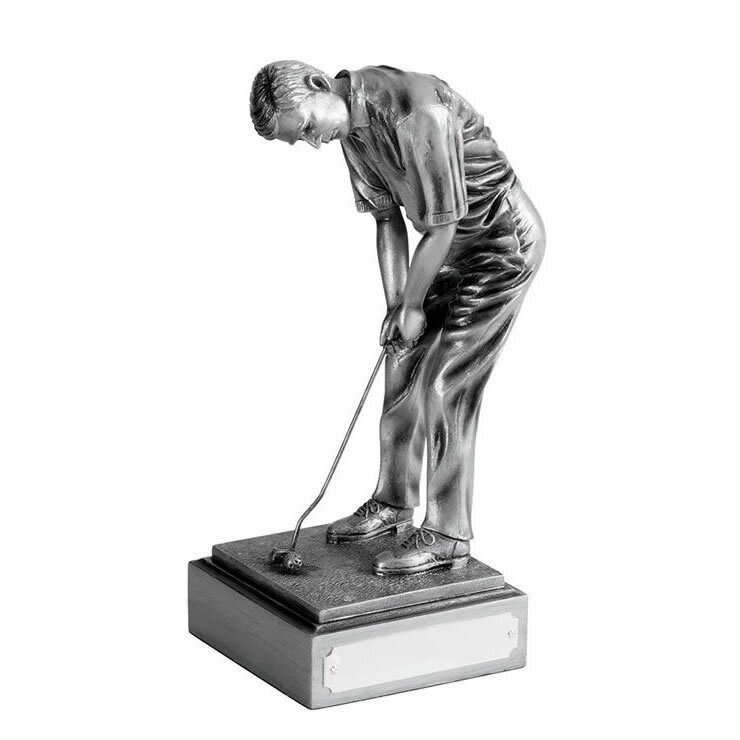 These golf trophies are set on a square shaped base complete with engraving plaque and are offered with text and logo engraving options for the base plaque.